Leaked memo suggests Barnes and Noble plan to add a browser and email to their Simple Touch eReaders! 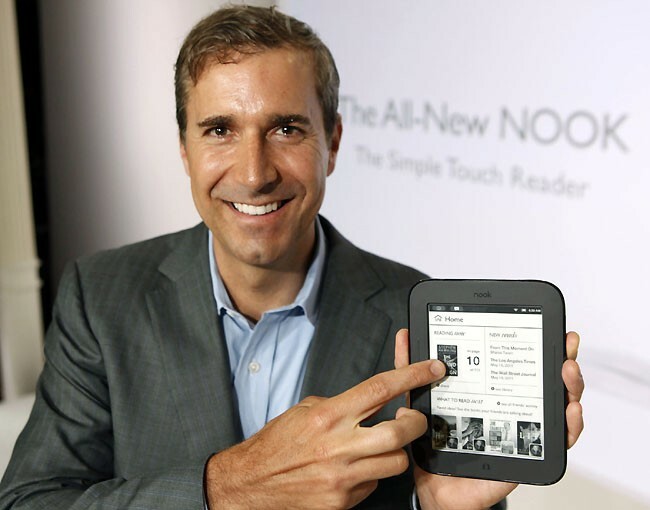 A few of you guys out there may have been lucky enough to get your hands on Nook's eReaders a couple of week back when they were reduced to insanely low prices! If you were one of the lucky few who got one then you'll be intrigued to hear that there may well be a software update in the works for your device. 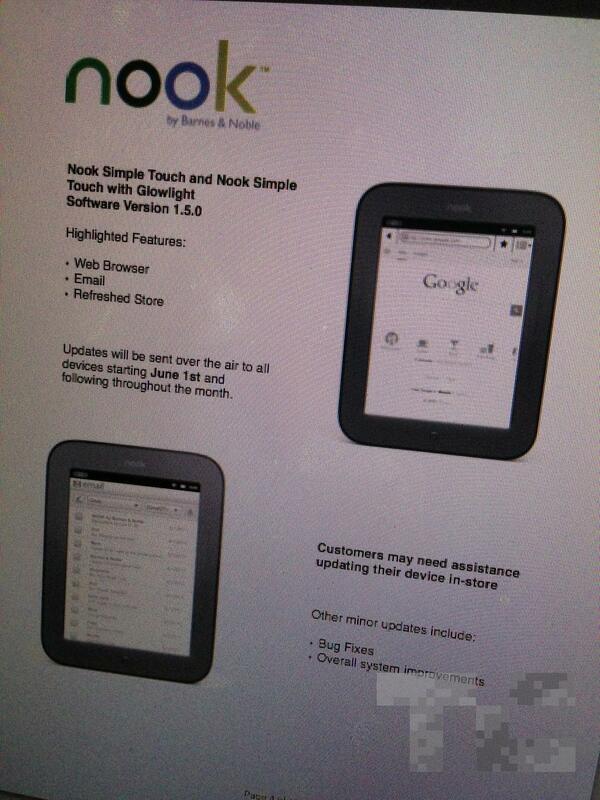 According to the leaked information embedded below the update will to Version 1.5.0 of the Nook Simple Touch software will add a Web Browser, Email and it'll see the store refreshed as well. According to the document the update will begin on June the 1st and will roll out through the month and you'll also get other bug fixes and overall performance improvements!